If you’ve ever used the Etcher tool for flashing data to a microSD card, you’ve probably been impressed by how quick it is. The error checking, and subsequent reports are particularly useful and helpful in identifying cards with potential issues. Amazingly, Etcher has just got even better, thanks to a new update from developers Resin. Etcher 1.4.3 is considered a step closer to the release of Etcher Pro, and features the ability to flash multiple devices simultaneously! This might be a group of Raspberry Pi Compute Modules, or perhaps a collection of SD cards and USB sticks. Whatever suitable devices are attached to your computer, Etcher will let you select them, and then burn the desired ISO file. Clearly, this has considerable applications, not least making it far simpler for device fleet owners to flash new ISO images. 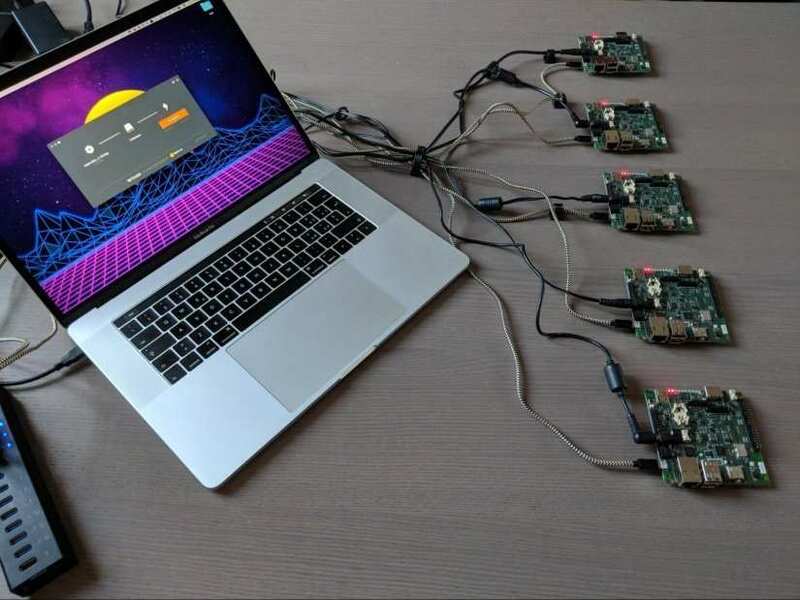 Resin has revealed that the new Ether release includes a compact Linux kernel, which is copied to the Compute Module, allowing it to boot. It is then detected as a USB mass storage device, which Etcher then flashes with the chosen OS. Now all you need to do to flash a new version of Raspbian (or your Raspberry Pi operating system of choice) to a Zero or Zero W is ensure the microSD card is empty, and connect the device(s) to your computer via USB. As noted, Etcher will detect the devices as USB mass storage, and flash them, as with the Compute Modules. This development is going to have a huge impact across the board (so to speak). Devices can be flashed en masse without the need to remove the microSD card, saving time, and messing around with easily dropped and lost microSD cards. Building multiple RetroPie or Kodi systems? Use Etcher’s new feature to write multiple images simultaneously!